书籍简介: It's summer and all of Ulrik's school friends seem to be going on something called 'holiday'. Mr and Mrs Troll investigate. Their neighbours, the Priddles have just bought a caravan, and after a muddled conversation, it seems the troll family have been invited to join them. But when they arrive at the campsite in Wales and the Priddles open the caravan to discover it full of trolls they don't seem very pleased. But this is the least of their worries, as stories of a wild Beast living on the moor nearby start to surface, and Ulrik finds himself helping to solve a hairy, scary local mystery. 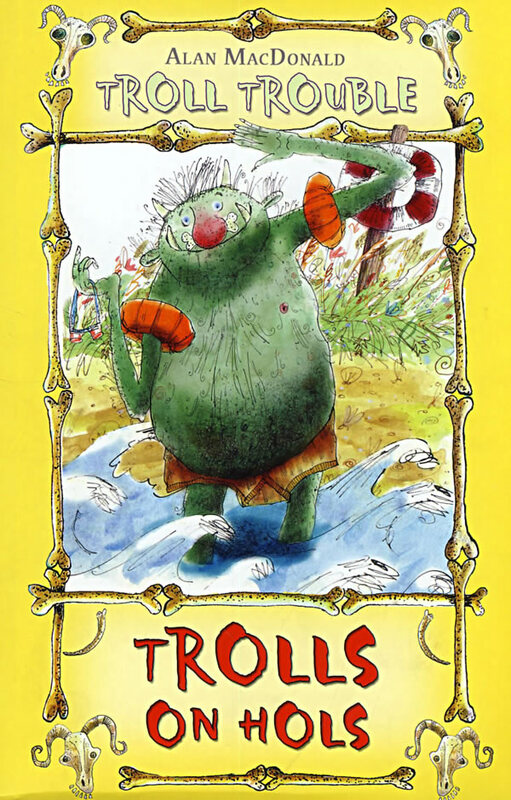 This is a very funny and brilliantly observed holiday mystery with the lovable Troll family and suffering Priddles.